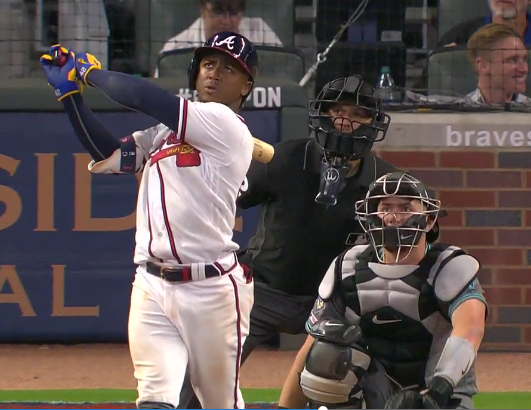 With his right knee dipping to the ground as he delivered a mighty swing, Acuna launched a 448-foot shot over the Braves’ bullpen in right-center field, putting Atlanta on the board in the fourth after Arizona jumped ahead 2-0 in the top half against Fried. Atlanta tacked on four runs in the fifth against Robbie Ray. Fried sparked the outburst with a one-out single and came around to score the tying run on Freddie Freeman’s double into the right-field corner. The Diamondbacks walked Acuna intentionally to load the bases with two outs, but Camargo foiled that strategy with a double to the wall in left-center that brought everyone home. Follow Paul Newberry on Twitter at www.twitter.com/pnewberry1963 . His work can be found HERE.